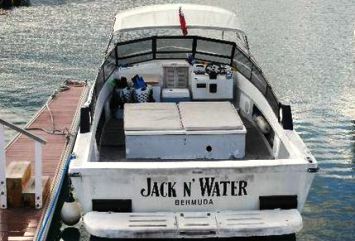 This is a snorkeling cruise or a snorkel boat tour that operates from the Kings Wharf Dockyard Bermuda. The tour is run by Captain Sonny Sullivan. He has been a sea veteran for many long years. Sonny has worked with several boat operators and even captained a dive boat before he decided to have a boat of his own. He is also an expert in game fishing and has many large catches to his records including huge Marlins. Sonny's boat is a small 30-foot island hopper. So the good news is that it is light and can move very fast. In fact he reaches the snorkeling site (Western Blue Cut) within some 25 minutes. So unlike the larger boats, it doesn't need to spend over an hour in reaching the site and getting back. And therefore Sonny is able to provide over an hour of snorkeling time to his guests out of the boat tour that lasts for total of 2 hours. But it's a not frill boat, no bathroom etc. It has a small cramped cabin where you could change. Another great advantage with a small boat is its small capacity. Which means that there will never be too many riders to make it a crowd. This allows Sonny to personalize the tours, talk to the individual snorkelers, guide them and answer all their questions. Having been born in Bermuda and being in such business for long, Sonny is very knowledgeable about the island and its marine life. He is not only informative, but very friendly as well. However Sonny is not alone in this venture. He has a dog Audrey that gives him company all the time and remains on the boat. It's a great fun watching her swim by your side as you snorkel. I haven't seen a dog swim that fast. Audrey is friendly and loves to see new guests come on board. If you are not comfortable with a dog on the boat, then Sonny leaves him with a friend of his on the shore. One disadvantage with a small boat is that there is hardly any room for changing. Actually there is a small cabin, but very cramped. So you should come wearing your bathing suits and also carry your towels. Other than the snorkel gears, Sonny also provides underwater digital cameras for free use. This is one of his great value additions which I haven't seen with the other snorkel operators. You can either buy an SD card (memory card) from him or use one of your own to capture some of the fabulous underwater pictures that are otherwise not possible to shoot with normal cameras. So where do you go for snorkeling and what do you get to see? Sonny takes you to the western end of the island known as Western Blue Cut. This water area is home to some of the most famous shipwrecks including Constellation and Montana. On a normal day with weather permitting, Sonny will take you to these shipwrecks, tell you about the history of the wrecks, and give you instructions on how to snorkel around them safely. It's a great opportunity to see sunken shipwrecks in crystal clear waters without having to dive. So this snorkel tour is essentially a shipwreck snorkeling tour. You will of course see lots of colorful fish as well. The total tour duration is 2 hours out of which you get to snorkel for nearly about 70 minutes. This is probably the shortest snorkeling tour of the island with reasonable snorkeling time. It is made possible because of the small boat with high speed. Usually there are three such 2-hours snorkel tours run daily by Snorkel Bermuda - 9am, 12 noon and 3pm. If there is accommodation, then Sonny also allows non-snorkelers to ride and accompany their friends at a reduced charge. I suggest that you take this tour only if the weather is good. Otherwise the shipwreck sites can not be accessed and alternative in-shore reef sites are offered at discounted rates. In such case, you will end up riding the boat (basically enjoy a boat tour) for the first 45 minutes or so. $55 per person (if paid in cash), $60 per person (in credit card). The boat leaves from the Dockyard (near Kings Wharf). 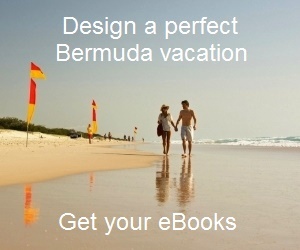 It's about 1 minute walk from the cruise ship terminal. From Hamilton, you can take a ferry and reach dockyard in 20 minutes. Bus routes #7 and #8 also ply between Hamilton & Dockyard. Tour Timings: 9am, 12noon, 3pm. You can make reservation over phone (need to use Visa or Master credit card).